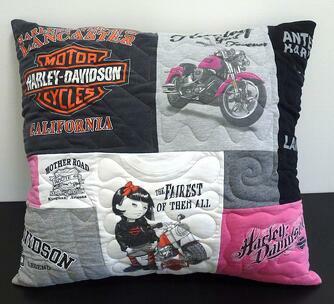 Too Cool T-shirt Quilts® is now making pillows. 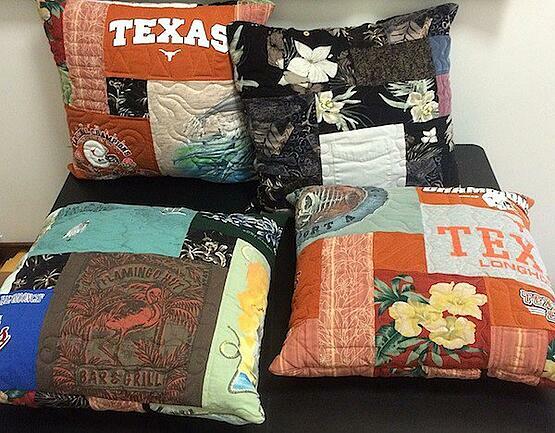 We have done a lot of experimentation with turning T-shirts and clothing into pillows. 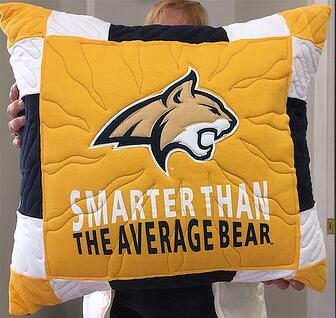 We have developed two basic types - T-shirt pillow and memorial pillows. The memorial pillows are at the bottom of this page. All pillow's feature a removable pillow form. The exterior, which features your T-shirts, is machine washable. We take your T-shirts and turn them into a pillow. 1 to 10 T-shirts. Please stack them with the most important T-shirt on top and the least important on the bottom. We will work from the top of the stack until we have enough for your pillow. 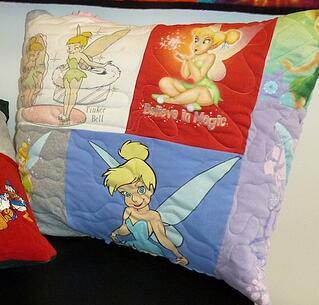 We take your loved ones clothing and transform them into a pillow that will bring comfort. 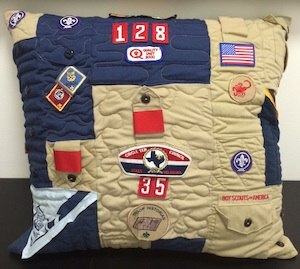 These pillows also can be made with your clothing.